The Metro Board is moving toward extending current rail service hours for at least another year, with the support of Maryland, Virginia and federal appointees -- but the District continues to object to continued service cuts. WASHINGTON — The Metro Board is moving toward extending current rail service hours for at least another year, over the District’s objections to continued service cuts. A draft resolution to be voted on Thursday would continue current service hours through at least July 1, 2020, and direct Metro to push riders toward taking nighttime trips through cabs or companies like Uber or Lyft instead of using the rail system. Those companies have already siphoned off a number of riders who can afford it at all times of day. Maryland, Virginia and federal appointees to the Metro Board strongly support keeping the current hours in place, because extending hours would require additional funding and Metro staff have credited the hours cuts with providing maintenance time that has been used to improve the system. 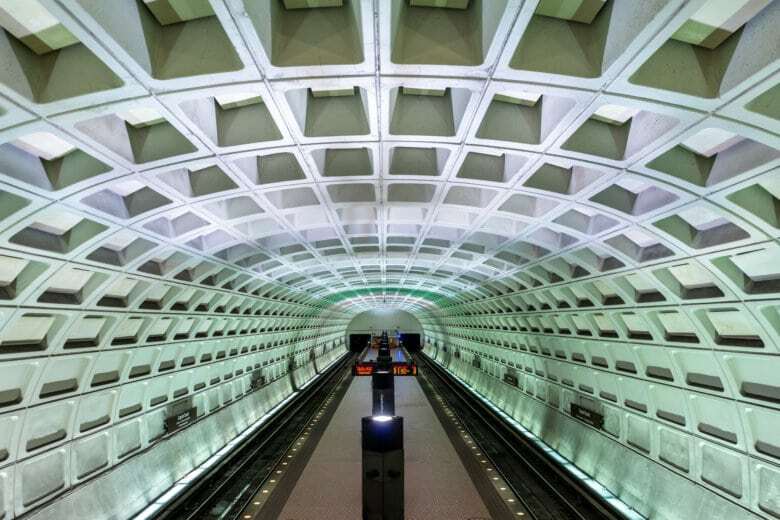 The Federal Transit Administration and Metrorail Safety Commission have also warned against returning to previous hours because of concerns it could impact Metro’s maintenance programs. Crews typically do about two hours of work on the tracks in a five-hour closure window today. Metro has promised to work to better use the track time it has. However, the District of Columbia has opposed keeping current hours as-is due to the significant impacts on businesses, residents and riders and on the reputation of the region. D.C. Council member and Metro Board Chairman Jack Evans told WTOP he will vote against the measure in committee Thursday, and said that if the full board’s vote were held today, the District would block the measure. “It’s our intent at this point in time to vote against it, but that could change,” Evans said. Last week, Mayor Muriel Bowser told WTOP that the District’s Metro Board members were leading the charge to get service back. Metro Board rules allow a jurisdiction to block action if both of its voting members vote against the measure at the full board, but Evans’ vote will not be enough to keep the measure from reaching that vote. As a concession to the District, the resolution would include a provision automatically returning the rail system July 1, 2020, to 7 a.m. openings Sundays, midnight closings Sunday–Thursday and 3 a.m. closings Fridays and Saturdays, unless the board votes again next year to maintain the current hours. The rail system currently closes at 11:30 p.m. weeknights, 1 a.m. Friday and Saturday nights, and only runs 8 a.m. to 11 p.m. on Sundays. Metro staff had seemed open last month to extending Friday and Saturday night service to 2 a.m. and extending Sunday rail service to run from 7 a.m. to 11:30 p.m. if the board were to insist on some type of additional service for the region. But Maryland, Virginia and federal appointees each questioned why the agency would make any changes now as it sees improvements in the statistics it reports to the public. If D.C. were to get additional hours now, funding would need to be added to the budget for the year starting in July. That budget is due to be approved next month. Several people familiar with the situation in Maryland and Virginia said the additional funding needed and the threat of statewide money being withheld by the Federal Transit Administration make any extended hours completely unreasonable at this point. Financial concerns have been heightened by declining ridership amid ongoing track work and reduced ridership during times of single-tracking on nights and weekends. The next major work zones are planned this summer.